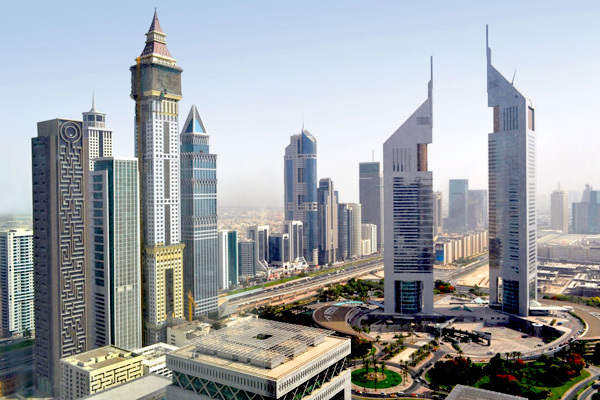 Dubai’s office market performance continues to soften in 2018 due to increasing supply and a slowdown in new market entrants. This has created an opportunity for existing occupiers, who are looking to take advantage of favourable market conditions, according to a Knight Frank report. Average office rents across Dubai softened by 5.8 per cent year on year to Q3 2018. If only Grade A office properties are considered, the decline is steeper – by 8.9 per cent from January levels. Prime office rents in Q3-2018 registered at Dh246 a square foot, down 4.9 per cent in the year to now. Vacancy in core prime assets remains as low as 1 per cent, said Knight Frank. With the easing of regulations, freezing of government fees, economic stimulus packages and continued introduction of dual licensing in free zones, demand for offices is likely to tick up over the short term to medium term. Specific to Q3, demand for offices remained soft. New license issuals were down 9 per cent in the first six months from a year ago, according to official data. “The primary source of activity has come from firms looking to consolidate their commercial real estate portfolios or occupiers looking to downsize. On a positive note, these market conditions do provide opportunity for occupiers looking to take advantage of softer market conditions and as a result of this activity, landlords who actively manage their assets have fared better,” the consultancy added. However, there is a reasonable level of pent-up demand which is being restricted currently. “First due to the restrictions in transferring licences from one free zone to another; the demand for which is increasing due to the continuing roll out of dual licensing in free zones. Secondly, while some occupiers are willing to undertake these moves, many are in long-term contracts which further restricts demand,” the report added. Landlords are responding by offering longer rent-free periods, delayed rent escalations, free parking facilities and fitout contributions. Single-ownership assets continue to outperform strata owned stock which has underperformed, due not only to lack of quality but lack of demand for this type of space. Healthcare firms were the single largest source of demand with 18.8 per cent of demand coming from the sector. Finance, general trading and IT/technology firms accounted for the next three largest sources of demand with a share of 12.5 per cent each of total enquiries. Furthermore, size requirements from clients continue to decrease, with 94 per cent of space requirements being below 5,000 square feet. The short to medium term outlook for Dubai’s commercial market remains negative with rents expected to continue to decline. This trend is likely to be driven by the delivery of additional supply.